You cannot predict when a disaster will strike. Fire or smoke damage can bring your life or business to a standstill and dealing with the after affects can be overwhelming. 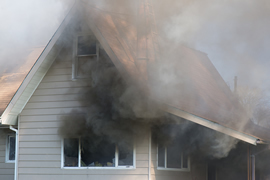 Smoke and water sometimes causes more damage than the fire, and you need a professional company with experience in fire and smoke damage restoration. Fire causes destruction by the burning itself, but also brings water and smoke damage to property. Depending on what is burning, smoke can contain many chemicals, but mostly there will be carbon (or soot), tar, oils, and ash. This damage causes your surroundings to be dirty, unusable, or dangerous to health. Particles in smoke infiltrate materials or build up on the surface of materials and causes stains and odors. These stains and odors need to be removed in order to regain full use of the materials. The process for cleaning up will depend on the composition of the affected materials, as well as, the size of the job. We approach each job with the professionalism and care you need to quickly get your life back to normal. 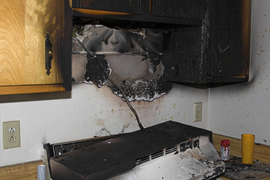 In extensive smoke damage, if your insurance plan or finances allow it, the most effective way to deal with smoke damage is to call a professional service company, like MRI, with trained experts and specialized equipment. Fire causes destruction by the burning itself, but also brings water and smoke damage to property. Highly acidic smoke and soot caused by the burning of common synthetics, combined with water from the firemen’s hose, makes possessions unsalvageable within just a few days. 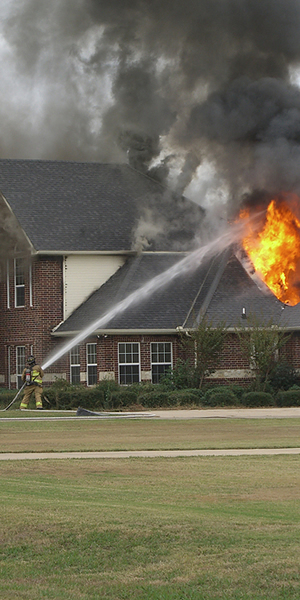 Quick response to fire damage is necessary to repair and restore your home or business. 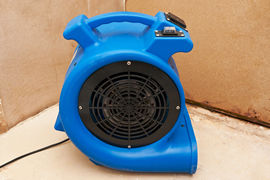 We can remove water from the structure of any water damaged building. If water damage from putting out a fire is managed immediately and properly with a controlled drying process, the repair will proceed faster, thus getting the occupant or business back to normal quicker. We will answer your emergency call 24 hours a day, 365 days a year and contact the customer within 45 minutes from receiving the initial call to schedule an appointment. We will begin emergency mitigation services, when required, within two to four hours from the initial call. We will provide a written report within 24 hours after receiving the initial call. We will keep you informed, as needed, on the progress of each claim. We will provide an invoice with complete documentation and photos within 7 days of receiving the claim. We will demonstrate our professionalism by delivering our service on time, with Moisture Rid's well trained employees and Moisture Rid's cleaning products and equipment. We will employ the utmost integrity in pricing and service. We will provide the customer with quality work and service while striving to control the cost of each job.